Gone are the days of milk crates filled with multiple types and sizes of rigging, now that can all be replaced with just a fraction of the grip hardware. The reduction in dedicated rigging saves space, weight, cost, and most importantly set up time. Those all too common on-the-fly changes in lighting and camera rigging can now be addressed with ease. Envision just pulling the safety retainer pin and changing a Baby Plate to a JR Plate in seconds. This flexibility offers complete freedom in creating custom rigging configurations today, and adaptability for tomorrow. 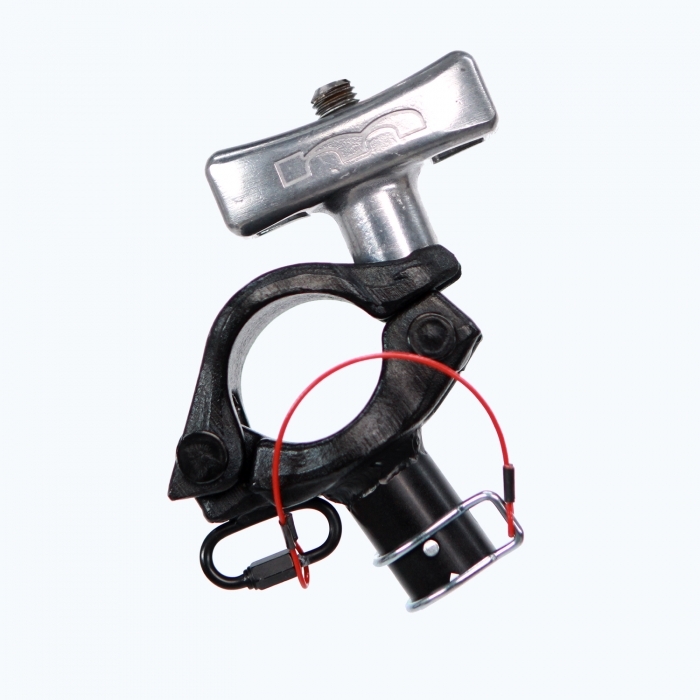 Further protecting owner investment and virtually eliminating the need for one-off rigging. Geared for everyone from big-budget motion picture or television grips and gaffers to the fledgling or independent content creator, MyWay Grip is the game changing grip solution the industry has been longing for. A two-part patent pending locking system of industry standard attachments and mounts. Save space and weight over traditional grip gear, and quickly design rigging to accommodate on-set requirements with the interchangeable MyWay Grip system.